I’m going to be short and to the point. I know you want more SALES and you want more TIME. I’ve found that successful businesses have a selling system that does the sifting, sorting and selling for them. My goal is to help you create that selling system for your own business. My new course “How to Create a Marketing Funnel for Your Business” will show you how to do that. It’s a digital download course that consists of audio training (MP3), along with an eBook, diagram and some additional reports to educate you. By the time you finish my course, you will know what 95% of most small business owners don’t know about sales and marketing. 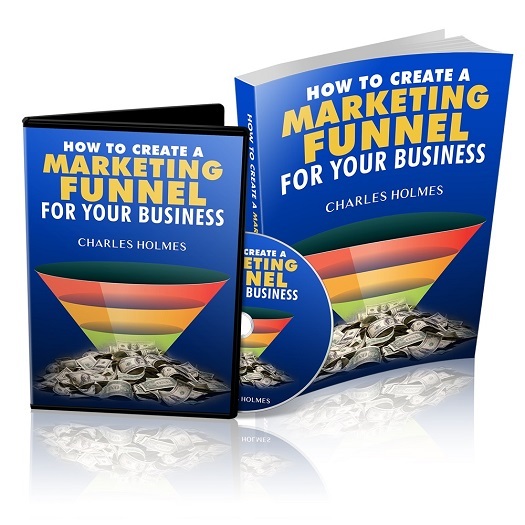 22 page eBook "How to Create a Marketing Funnel"
I know you will enjoy this course immensely. Just $15. Don't miss out. This won't be around forever.